Suggesting that some New Gods might be even less pleasant than the ones the show has already showcased, Neil Gaiman has said that the upcoming second season of his Starz series American Gods will tackle the rise of fascism in America. Not the current one, mind you (at least, not directly), but by flashing back to the period in the 1930s, when pro-Nazi groups like the Silver Legion Of America and the German American Bund briefly commanded the loyalty of more than 20,000 Americans. Fun times! This is per an interview Gaiman gave to Deadline this week, in which he gamely attempted to rebuild enthusiasm for a second season of a show that’s been the subject of a number dispiriting rumors over the last few months. (The fact that showrunners, including relatively recent addition Jesse Alexander, have been dropping off the project like flies, hasn’t helped much in that regard.) 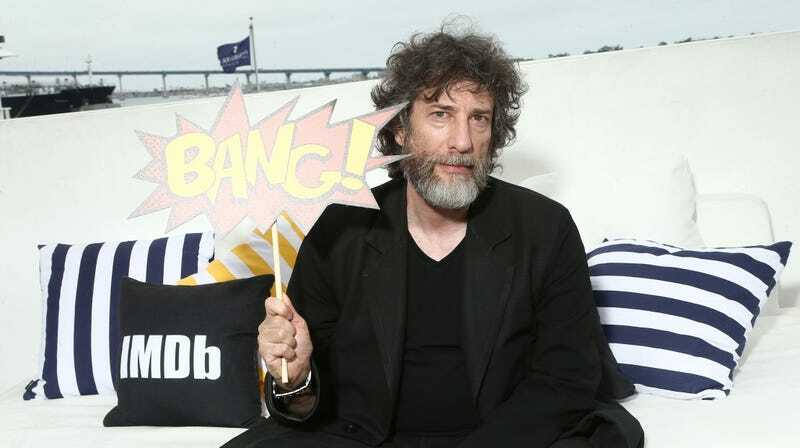 But despite repeated pressure from the interviewer, Gaiman refuses to call the show’s conflicts—which have included reports of multiple re-writes of the season finale, and rumors that dissatisfied cast members have begun improvising some of their own dialogue—as anything worse than “grumpiness.” Meanwhile, Gaiman—who’s been busy doing full-time showrunning work on the BBC’s adaptation of Good Omens—continued to promise that season 2 would continue to dial in on the show’s characters, examining the relationships between Shadow, Laura, and, of course, Ian McShane’s Wednesday.